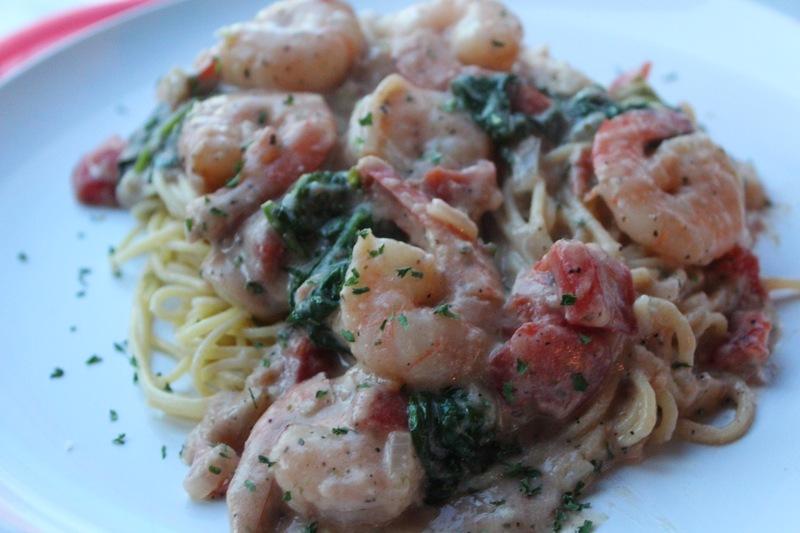 I was making dinner a couple of weeks ago and realized I don’t share enough shrimp recipes. I had a pound of shrimp and didn’t know where to start so I did what I always do and checked what else I had in the kitchen already. I had half a bag of spinach, Parmesan cheese, diced tomatoes, leftover milk and lots of garlic. It was a magical combination so I went with it. 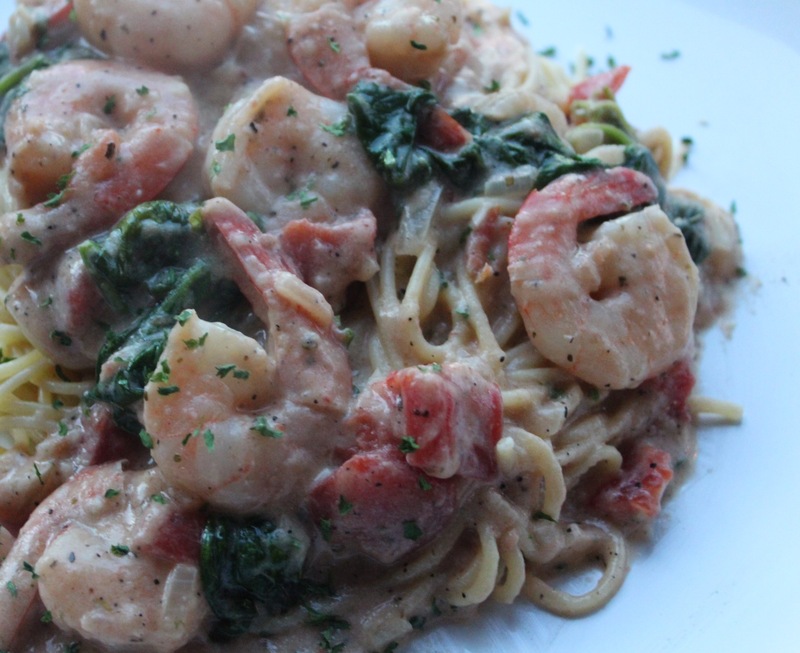 Now this is hands down my favorite shrimp dish and possibly even My favorite pasta dish so it’s only right I share it. Seafood can be a little intimidating if you don’t know how to properly store and prepare it but shrimp is the best thing to start with if you want to learn and get comfortable. Don’t let the smell turn you off because your kitchen will smell like heaven when you’re done. For this recipe I used uncooked shrimp. It’s always cheaper and fresh. You pay up to 5$ more just because they cooked it so just take the 10 minutes to prepare it yourself. Frozen shrimp is okay to use for this dish as long as it is defrosted before. Typically, shrimp defrosts fast and should always defrost in the fridge. NEVER let any seafood defrost on the counter unless you want a terrible stomach ache and the runs folks. You can buy it fresh from the seafood counter at any grocery store or a local fish market. In a large skillet over medium high heat, melt your butter and sauté your onions until fully cooked. 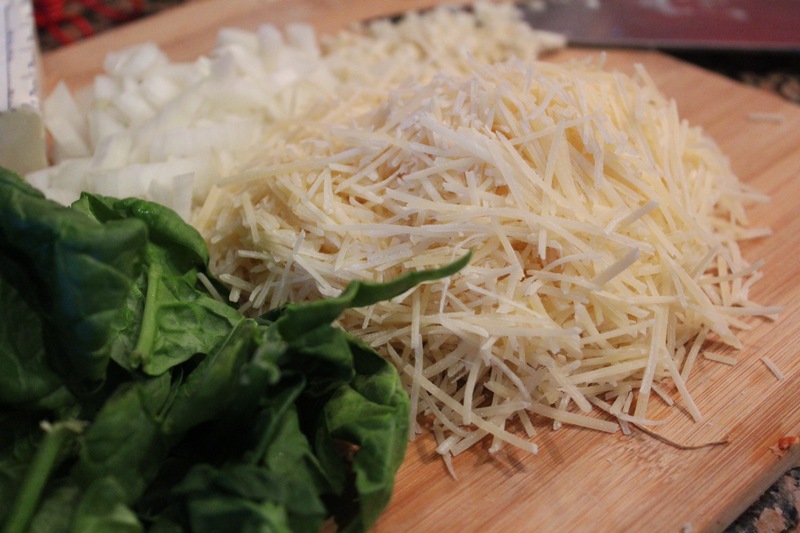 Add your garlic and shrimp until shrimp is fully cooked. Season with salt and pepper to taste. 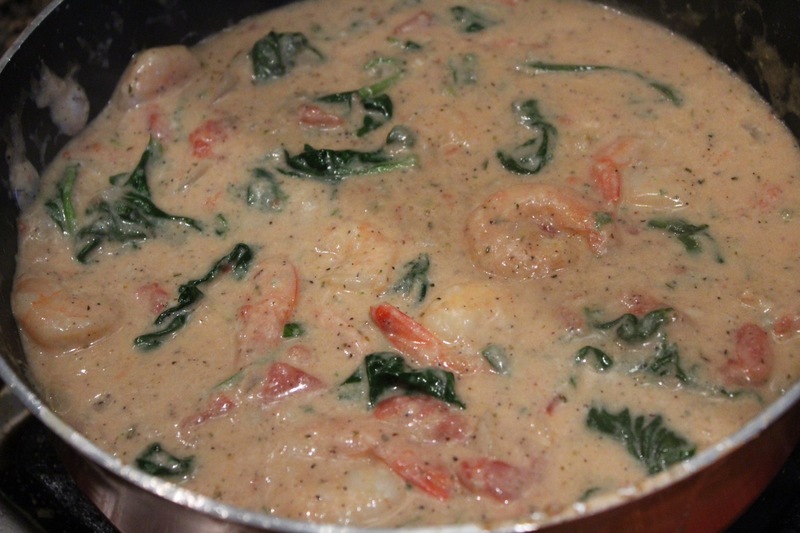 Once your shrimp is cooked, add your diced tomatoes and milk. Reduce heat to medium and let simmer for about 12-15 minutes until mixture thickens. Season with salt and pepper to taste.